So, what makes this action figure so special? It’s one of only three of its specific variation known to exist. But also… it’s the fulfillment of a broken promise. But is the legend of the toy that never was really worth more than a third of a million dollars? For example, he cited last year’s $420,000 auction of an Indiana Jones Fedora used in Raiders of the Lost Ark, which had Harrison Ford’s autograph on the interior band. As time goes on, the value of such things only goes up. In his Rancho Obi-Wan collection, Sansweet noted that he also has one of these three known Rocket Fetts. Earlier this year, he said, Rachfal contacted him to see if he would sell it. He said he wasn’t 100% sure. But he said he was definitely going to examine it when he got back to the museum. 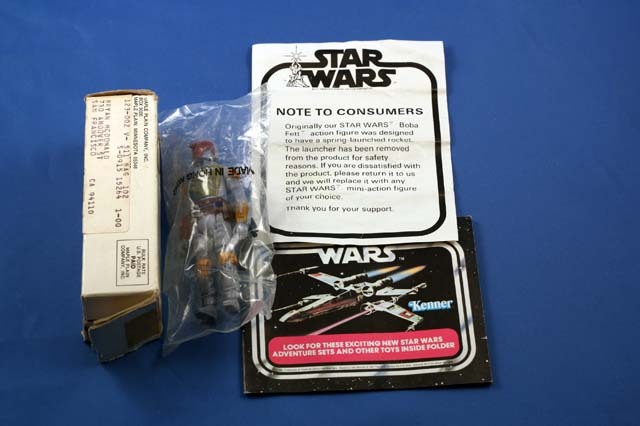 He said sometimes there are “average collectors” who over the decades have amassed “collections that have come up with the rest of the market that are capable of buying a piece like this.” In the interest of simplifying, occasionally they cash in a larger collection for one premium item like this. 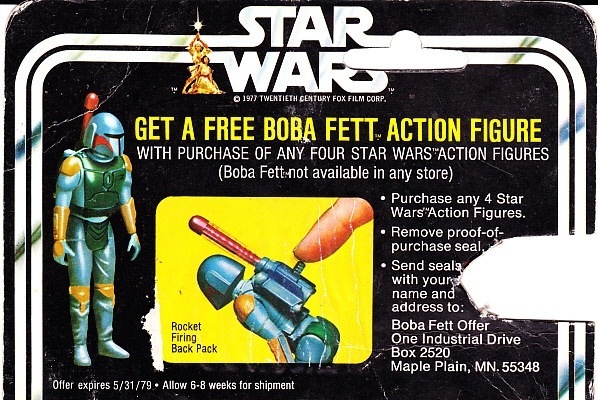 In addition to this one, Rachfal advertises a finder’s fee on his website for anyone who might help him locate any other rare Rocket Fetts that are out there in wild space.